John Gerrard is widely regarded as a pioneer of computer simulation. His work has been shown all around the world including at the Venice Biennale, Tate Britain and Manchester International Festival. 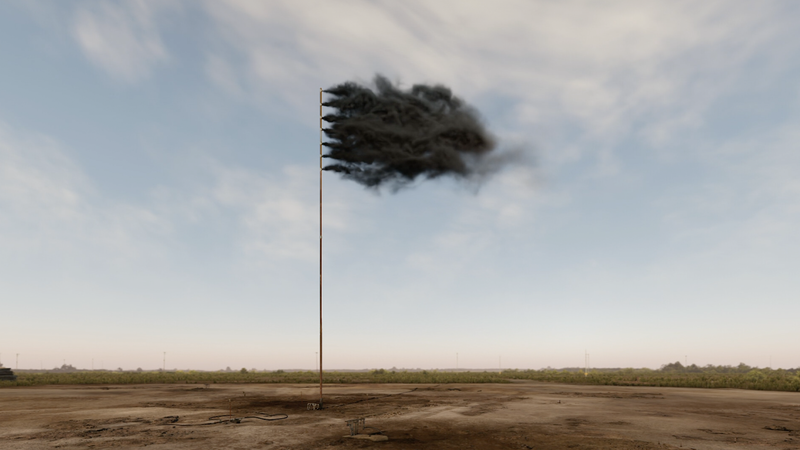 To mark Earth Day 2017, Channel 4 commissioned him to create ‘Western Flag’ to highlight the threat posed by increasing levels of carbon dioxide in the earth's atmosphere. Gramafilm were hired to create a short accompanying documentary about the process for broadcast and live for posterity on their streaming service. Western Flag was shown on Channel 4 over 24 hours disrupting normal viewing repeatedly appearing unannounced in millions of homes around the UK. Online it ran continually for the day on all4.com/westernflag where you can now view Gramafilm’s documentary. "A new flag attempts to give this invisible gas, this international risk, an image, a way to represent itself."